As some other online slot providers, Microgaming publishes the expected payout for each slot machine. Here you can find a list of MicroGaming Loose Slots and best casinos to play them. We’ve also added a short list of tightest Microgaming slots. Unfortunately, Microgaming casinos are not available in US, so if you are from the States, please check our best USA online slots page. 98%. A Megaspin version of the popular Break Da Bank Again slot. 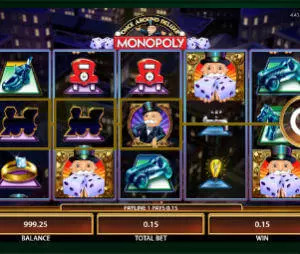 You get all the features of the original game, free spins, up to x100 multipliers and more, but instead of one set of reels, you will be spinning four sets of reels simultaneously. 97.5%. 1024 win-ways Tattoo themed slot. The game offers a special Re-spin feature where you can spin again a single reel to increase your winnings. Max jackpot is 122,500 coins. 97.5%. Another high paying Microgaming slot with a re-spin feature. Part of Retro Reels series with a classic design, free spin, multipliers and up to 440,00 credits jackpot. 97.35%. Nicely designed 5 reel video slot with cool free falls feature. The game offers wilds, free spins, multipliers and Swooping Reels where all winning combinations disappear and the spaces filled with new images, adding new winning possibilities. 96.9%. Big Kahuna Snakes & Ladders is an exiting 5 reel, 15 lines slot. Free spins, multipliers and special Snakes and Ladders Bonus game. Reaching the Big Kahuna mask can give you a x100 prize. The maximum jackpot is 200,000 coins. 96.9%.Funny to see Big Top and Carnaval slots in the best payout slots list since it has no free spins, no bonus games, no double ups, nothing. It’s a simple 5 reel slot with high regular payouts. The best part is the Monkey scatter multipliers. 96.9%. Resembles Big Top slot. Again, no special bonus features, but up to x50 multiplier with scattered symbols. Please notice that there is another Microgaming slot named Carnival Royal, which offers lower payout. 96.7%. One of the coolest Microgaming slot machines. It is a 5 reel, 50 paylines, Christmas themed slot. While playing you are collecting free spins and moving towards Dec 25. When you reach 25 the free spins are activated. When you reach Dec 25, you trigger the special Christmas dinner bonus. 96.7%. Exotic Far East themed slot machine. It is a 5 reel, 9 lines video slots. The game features free spins, multipliers and double up option. The maximum jackpot of $30,000. 96.6%. One of the most popular Microgaming slots. The reason for that is various exiting bonus features. Wildstorm – randomly turns up to 5 reels in to wilds. 4 level ofThe Great Hall of Free Spins. Triggering the free spins unlocks further bonus levels. Maximum win is 2,400,000 coins!!! 96.6%. Alaskan Fishing is a 5 reels, 243 ways to win video slot. Free spins, multipliers and special Fly Fishing bonus. The maximum jackpot the game offers is 1,215,000 coins. 96.5%. Great Griffin is a nicely designed 5 reels slot machine. The key part is the lucrative bonus features: Griffin Wild, Free Spins and Pick Me Bonus. When the free spins feature is triggered you can choose the number of free spins vs. the multiplier.